There are so many puns I could use when a camera has the word ‘Rebel’ in its name, but I will stick to just the latest version hailing from a long line of Rebels. 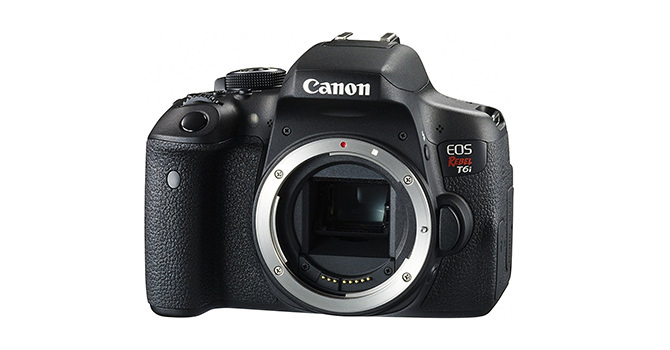 Things have come a long way since those early rebellious times, sorry… the EOS Rebel T6i (referred to as the 750D in other countries) has a new and increased pixel count of 24.2MP APS-C CMOS sensor, an AF 19 point phase detection borrowed from Canon’s 7D, a 3″ fully articulating touchscreen LCD, and 1080/30p video. Add in wifi and Flicker detection like in the 7D Mark II and you have a very capable all-around camera on the surface. The Rebel series has always progressed nicely from one upgrade to the next. For long time Canon owners, a Rebel was possibly the first camera to allow them to dip their toe into the DSLR market. This time there is a jump from an 18-megapixel sensor to a new 24.2MP sensor, bringing it more in line with the competition. Adding Wi-Fi with NFC means that if your smartphone is NFC-equipped, you can pair the camera to the phone, transfer images and even add comments straight on the camera. The T6i is a more compact DSLR than its bigger brothers from Canon. The body is made from aluminum alloy, a composite shell, and polycarbonate. It doesn’t feel as tough as more expensive models, but it still feels quite solid. Due to its compact size, the grip may be a bit small for larger hands, but a smaller, lighter body should also mean it’s easier to hold in general. The build is virtually the same as the T5i with the addition of AF Area selection and Display button. A similarity between all the Rebel models is a good thing as you can jump in at any stage and feel right at home. There are a nice array of buttons on the back of the camera for the most common tasks. You get the usuals like AF-assist lamp, IR receiver, and Stereo mic. on the front of the camera, with the sides of the camera taking up A/V out, HDMI, an external mic, wired remote control, and battery compartment. Having a fully articulating 3″ LCD that is touch-sensitive means all those odd angled images are as easy as pie to view. There is no top plate LCD screen on the camera, but its compact design just can’t fit one in. The camera also uses Canon’s EF-S mount, designed for APS-C type sensors and also accepts all EF lenses. The crop factor is 1.6x which, viewed through the viewfinder, has a magnification of 0.82x and 95% coverage. If this isn’t the greatest for you, you can always use live view exclusively, but this will cut down the battery time possibly to 180 shots. Autofocus can be a make or break deal for any camera. The T6i now has Canon’s 19 point AF system and is much better than previous Rebel models in low light. Five zones can be used by accessing the new AF Area selection button. The RGB + IR metering sensor is not as advanced as more expensive Canons, with some of the detection features left out, but you do at least get ‘color tone’ detection. The tracking features are basically not as good as Nikon or Sony. Mirrorless design alternatives also track better. You’re provided with three AF point selections in manual, automatic, and zone which allow top, bottom, left, right and center. Auto AF point selection is brought in when using AI servo. Auto ISO is there as a feature, but it is very basic. You can set the maximum ISO but that’s about it. You also can’t adjust exposure compensation in M mode with auto ISO. RAW image noise may not match something like a Nikon D5500, but maybe just partially better than a Sony a5100. The Live View has some nice features, like subject tracking, but don’t expect it to be as versatile as in higher models. Face detection works really well by just tapping on the screen. However, for most moving objects it may be better to use the optical viewfinder as the camera can track much better. You’re in familiar Canon and Rebel territory here with just the right amount of functional buttons to not overwhelm. With the multi-angle LCD screen, you’ll probably do a lot of work in Live View but you also have to watch your battery life. This is especially true with video. Supported formats are 1080/29.97p, 720/60p, and full manual mode. It may not be the unit you would choose for regular video shooting, but it can cope well in low light and get reasonable results. The Nikon D5500 and Pentax K-3 are similar competitors, with equal sharpness in JPEGs and possibly a bit less noise, but maybe not good as the competition in RAW format. 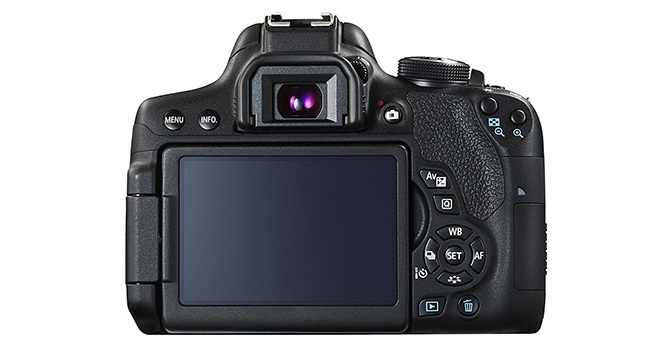 At this end of the market you’re looking for a good all-rounder and, although it does have its caveats, the T6i does produce image quality as good as the rest. It may not offer the same dynamic range as a Sony, but it’s still competitive. The upgrade in sensor puts the Rebel in line with competitors like Nikon and Sony, providing better resolution and even a bit better noise ratios. If you want a camera with specific qualities like better moving tracking, then it’s a competitive market. On the outside there doesn’t look like much has changed from the T5i, everything upgraded is internal. A 24.2MP upgraded sensor brings better quality, but Live View doesn’t focus on moving subjects too well. The integration of the 19 point AF system is an upgrade as found on the 7D, but is looking a little bit dated by today’s standards. More advanced features like a top LCD screen and thumbwheel are missing. Auto ISO is there in a basic format, but depending on the situation, you may be better off setting it manually. If you shoot mostly in Live View, then there are possibly better alternatives, but the Rebel T6i has the resolution and low light capabilities of some of its peers and is, as always, a great stepping stone into the DSLR market. If you’re after something with more AF features and more customization, you may have to look elsewhere. Previous Post« Previous How Does the Canon EF 24-70mm f/2.8L II USM Compare to Past Models?